It was a summer of unprecedented bad air for the entire Southland. LOS ANGELES, CA — A thick layer of unhealthy smog blanketed the Southland for an unprecedented 87 days in a row this summer. The region endured 87 straight days of unhealthful air, violating federal smog standards almost every day this summer, it was reported Friday. It was the longest stretch of bad air in about 20 years, according to state monitoring data show. The streak is the latest sign that Southern California’s battle against smog is faltering after decades of dramatic improvement, the Los Angeles Times reported. Some regulators suspect global warming may play a role because higher temperatures speed the photochemical reactions behind ozone. “This is one example of the close ties between air pollution and climate change, which makes meeting air quality standards even more challenging and illustrates the urgency for addressing climate change at all levels of government in the U.S. and globally,” Barbara Finlayson-Pitts, an atmospheric chemist at UC Irvine told the Times. Air Quality officials, however, warn not to read too much into the record stretch of bair air. It’s the level of pollution to be worried about, not the duration, officials told the newspaper. The spell of bad air started June 19 and continued through July and August, with every day exceeding the federal health standard of 70 parts per billion somewhere across Los Angeles, Orange, Riverside and San Bernardino counties, The Times reported. It didn’t relent until Sept. 14, when air pollution dipped to “moderate” levels within federal limits for ozone, the lung-damaging gas in smog that triggers asthma and other respiratory illnesses. It’s not unusual for Southern California summers to go weeks without a break in the smog, especially in inland communities that have long suffered the nation*s worst ozone levels. But environmentalists and health experts say the persistence of dirty air this year is a troubling sign that demands action. “The fact that we keep violating and having this many days should be a wake-up call,” Michael Kleeman, a UC Davis professor of civil and environmental engineering who studies air pollution, told The Times. The South Coast Air Quality Management District, which is responsible for cleaning pollution across the region of 17 million people, said that consecutive bad air days is an inappropriate way to gauge progress curbing ozone, that this smog season was not as severe as last year’s and had fewer “very unhealthy” days, The Times reported. “By all accounts this year is not great, but it’s a little better than last year,” Philip Fine, deputy executive officer for the South Coast air district, told The Times. Click here for the full Los Angeles Times article. Welcome the New Senior Lead Officer to Our Neighborhood! Devonshire Community, I would like to announce the selection of Devonshire’s Newest Senior Lead Officer, Police Officer III Phillip Sellers. Officer Sellers will be working Basic Car 17A49, filling the position left by retired Senior Lead Officer Jannie Angeles. He was selected from a pool of highly qualified candidates. Officer Sellers has served the Devonshire community for many years. He will be an asset to the Devonshire SLO office as he continues to serve the community. The news of an tentative settlement between state officials and SoCal has many residents involved in a class action suit nervous. A $119.5 million settlement agreement was announced Wednesday to resolve claims by several governmental bodies stemming from the massive Aliso Canyon methane leak — the biggest in U.S. history — that sent more than 100,000 tons of natural gas into neighborhoods around Porter Ranch. “Under the terms of the $119.5 million settlement agreement, SoCalGas will, among other things, reimburse city, county and state governments for costs associated with their response to the leak; establish a program with the California Air Resources Board to mitigate the methane emissions from the leak; and fund local environmental benefit projects to be administered by the government parties,” according to the statement. California Attorney General Xavier Becerra, Los Angeles Mayor Eric Garcetti, City Councilman Mitch Englander and county Supervisors Kathryn Barger and Hilda Solis were scheduled to discuss the settlement at a 10 a.m. news conference. The gas stemmed from an underground storage facility owned by the company. Officials said the invisible gas was flowing for about four months in what is being called the worst methane leak in history. An estimated 8,000 residents evacuated their homes, and people from the area said they experienced health issues such as headaches, nosebleeds and nausea. A class-action suit involving around 9,000 plaintiffs has been filed again SoCalGas. People affiliated with the suit said they resented reports of a settlement since it indicated that a state investigation of the leak will end even though, they claim, the leaking has not stopped. The gas leak, which was discovered in October 2015 and continued emanating methane until February 2016, poured an estimated 109,000 tons of methane into the air and forced an estimated 15,000 residents to temporarily relocate. Last year, SoCalGas reached an $8.5 million settlement with South Coast Air Quality Management District over the leak, which included $1 million in funding for an SCAQMD-sponsored health study on the impacts of the leak, although county health officials said that $35 million to $40 million would be needed for an adequate study. As part of their next few meetings, the Board of Neighborhood Commissioners will hold town hall style discussions of the City Council’s Neighborhood Council Reform motion (CF 18-0467). You are invited to join their conversation, and help shape the future of the NC system. One key part of the discussion will focus on Community Interest Stakeholders. Community Interest Stakeholdership of a Neighborhood Council is currently defined as engaging in “ongoing and substantial participation” in the community that NC serves, but what does “ongoing and substantial” mean as a qualification? The Bureau of Street Services’ Urban Forestry Division (UFD) is now copying EmpowerLA when a permit has been filed with UFD and has been deemed complete to move to the notification phase. Once EmpowerLA receives a notification with the address of the tree to be removed, staff will identify which Neighborhood Council the tree(s) is located in and forward the notification to the board. If the removal is for 1 or 2 trees, the UFD provides a 3 day notice to the affected Council District, the Community Forest Advisory Committee and the affected Neighborhood Council. If no objections are raised within the 3 days, the tree(s) will be removed shortly thereafter. 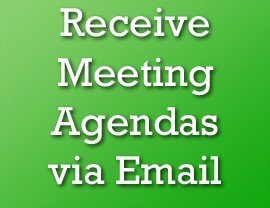 The board members should contact their City Council Office if your Neighborhood Council has any concerns about the tree(s) removal. If the removal is for 3 or more trees, the UFD provides a 3 day notice to the affected Council District, the Board of Public Works, the Community Forest Advisory Committee and the affected Neighborhood Council. The UFD is also required to submit a report to the Board of Public Works for review, and the proposed removal must be posted for 30 days prior to removal in order to allow for public comment. In addition to contacting the City Council Office if your Neighborhood Council has any concerns about the trees removal, board members will also be able to provide public comment with the Board of Public Works within the 30 days. Please note that if your board has not taken official action on the tree(s) removal, board members can only speak in their individual capacity. For more information about the tree removal process, click here for the information sheet and click here for the Tree Removal Permit Application. For a list of the proposed removals, click here for the Tree Removal Notification System. The City of Los Angeles is in the initial stages of developing an Urban Forest Management Plan (UFMP) funded by a grant from CAL FIRE. The goal of the UFMP is to help guide the planting, care, protection, and sustainability of the City’s urban trees. LA’s Urban Tree Canopy cover is only 21% – lower than the national average of 26%, which makes the health and sustainability of the City’s park trees critical. To ensure this plan for managing the City’s trees considers and incorporates resident priorities, the following survey is provided, so you may tell the City how you feel about local trees. Our next PLUM Committee meeting is Wednesday, July 25. Thank you to EmpowerLA’s Octaviano Rios for letting us share this thoughtful overview of Mayor Garcetti’s 2018 State of the City address, which Octaviano originally wrote for the Harbor area Neighborhood Councils that he supports. He highlights the Mayor’s callouts to Neighborhood Councils, and issues that Councils might wish to partner with the Mayor on during the coming year. In his State of the City address Monday morning, Mayor Garcetti said that he needs the help of Angelenos to improve our quality of life in Los Angeles. This coming fiscal year, please consider joining the Mayor, the City Council, City departments, and community partners to spur economic growth in key industries, improve regional infrastructure connectivity, and ensure everyone benefits from the progress of the City. Former Assemblywoman Linda Halderman alleged that he gave her an unwanted embrace in 2010 that she considered to be assault. Sen. Bob Hertzberg, D-Van Nuys, was reprimanded by the state Senate for hugging fellow legislators and staffers, according to documents released Thursday, and he said that while there was no illicit intent behind his actions, he will respect the reprimand. An investigation into Hertzberg’s behavior began in December when a former Assemblywoman, Linda Halderman, alleged that he gave her an unwanted embrace in 2010 that she considered an assault. That led two other legislators to express concern about Hertzberg’s penchant for hugging.